Sure, Game of Thrones coined the phrase, “What is dead may never die.” But that concept can also apply to just about every major horror franchise, as classic killers from Freddy to Jason appear to die, but always figure out how to return to create chaos. This is fine. Audiences WANT to spend more time with these terrifying threats. But it means that storytellers have to find fresh ways to bring the beloved horror threats back, and Child’s Play thinks it figured something out. We are getting a new Child’s Play movie on June 21, from producers Seth Grahame-Smith and David Katzenberg. The new movie will serve as both a remake and a reboot of the classic Child’s Play franchise, which followed a doll named Chucky who was possessed by the spirit of deranged serial killer Charles Lee Ray. In the new movie, the team found a new way to revive Chucky, and detoured away from the serial-killer spirit inside of the doll. We sort of lean into more of the AI/Kaslan story and hint at a Chucky that is driven by something different than he is in the original series, when he’s Charles Lee Ray and he’s just a truly psychopathic killer in the body of a doll. [Also, there is] the mother/son story, the emotional component of the movie, which I feel like the movie really delivers. And then above all that, just the intensity, the gore, the fact that the movie is rated R, that it really does go there when it goes there. I think the movie looks big, is much bigger than a lot of movies that are our size – very affordable movie, we are. But we had big ambitions. Those are, I’d say, the primary things we’re going for. As the conversation continued – and also, as is made evident in the recent Child’s Play trailer that we are including below – the new Chucky is driven more by demonic Artificial Intelligence, and not by the spirit of a serial killer. This appears to give Chucky the ability to control more technology, as the new trailer appears to show him taking over drones, controlling power tools, and more. You’re getting at the heart of, I think, what a lot of people are inherently skeeved out about AI. Does it have its own agency, or is it just a series of processes and commands and executions? The truthful answer is by the time the movie’s over, I don’t know. I think at the beginning of the movie, you’ll see sort of briefly why this particular doll is the way that he is, and it’s not every one of these dolls, right? So why is our Chucky special. And then it’s going at that inherent need to make his child happy no matter what, right? To bond with him, to be with him. It starts out like you saw in the clip, very sweet. It’s two characters in Chucky and in Andy that both in their own ways at that point in the movie been rejected. Andy is certainly in need of a friend, and finds one in Chucky. So that’s the reason we showed you that clip, because we wanted to sort of lean into that this is a relationship that is genuine that goes off the rails in a big way. It’s not just brooding, and it’s not sinister from the jump. It gets there, for sure, but that I think just gets to the heart of what we’re trying to do here, and why we felt like there was a why and a cultural relevance to doing a different version of this classic series. He’s not necessarily like super excited about this gift when he gets it. But once he realizes that this thing has his interest in his heart and mind, they grow on each other. We knew that one of the differences we wanted to do here was to ultimately put more pressure on kids having to do this than in the original movie where it’s Karen and Detective Mike, primarily Detective Mike, hunting this [doll] down. And now Detective Mike is a big part of the movie. Brian Tyree [Henry] is amazing in the movie, and obviously Karen – Aubrey [Plaza] – is amazing in the movie. But that really helped us give Andy sort of a life away from mom that we could exploit for different things. All in all, it’s sounding like the team behind the new Child’s Play went above and beyond to make their story stand apart from previous versions of the Chucky story, hoping to make improvements while also luring a fresh audience into this world. 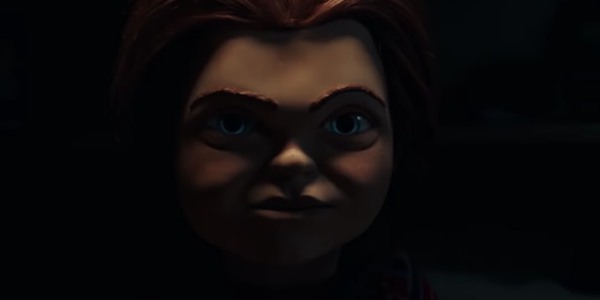 Remakes and reboots aren’t always guaranteed successes, but it sure is looking like the new Child’s Play has updated the look and feel of Chucky, as evidenced by this most recent trailer. 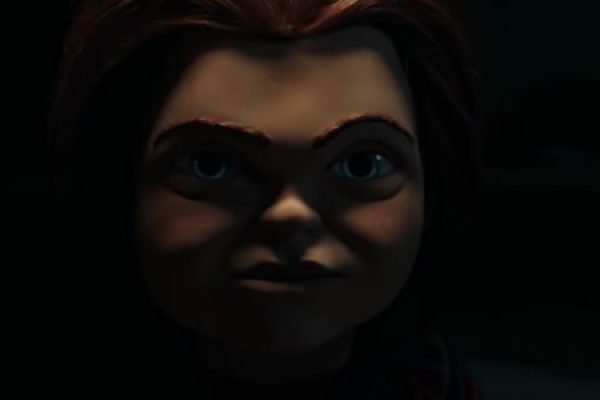 Child’s Play will hack and slash its way into a competitive summer blockbuster frame, arriving on June 21 where it will go toe-to-AI-toe with Toy Story 4 (a totally different story about toys with emotions), and the pending Annabelle Comes Home. The competition for the horror dollar will be intense, but because of the major changes introduced into this new Child’s Play take, we think it looks interesting enough to lure both fans of the original franchise, and newcomers looking for creative, never before seen thrills. What do you think of the changes made to the new Child’s Play? Does it make you excited to see it? Weigh in down below in the comments section. Maybe you’ll make a new best friend while you are down there. While it hasn’t been advertised as such, Michael Chaves’ The Curse Of La Llorona is most definitely a part of The Conjuring Universe. Its posters may only say “From The Producers Of…” instead of referring to it as the next chapter in the franchise (as was the case for both Annabelle: Creation and The Nun), but its actual connection is very clear – specifically through the return of Tony Amendola’s Father Perez from the original Annabelle. Given the popularity of the brand, this might strike some as odd, but there arguably is a good reason for it: it’s the first non-Conjuring title that’s neither a direct spin-off nor a sequel to a direct spin-off. Simply put, the film doesn’t fit in with the same development strategy that has established The Conjuring Universe to date. The reason why John Leonetti’s Annabelle and its follow-ups exist is because of the immense popularity the titular doll earned from her small part in James Wan’s original The Conjuring; and Corin Hardy’s The Nun got the greenlight because of the response to the habit-sporting demon from Wan’s The Conjuring 2. 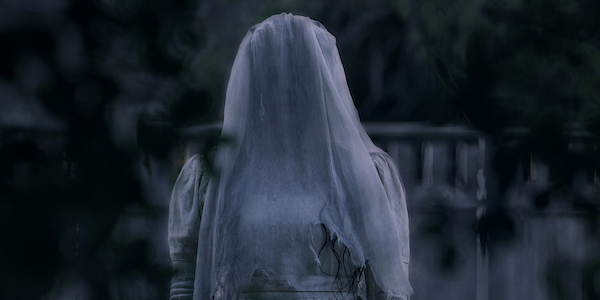 The Curse Of La Llorona, meanwhile, has roots in urban legend, but no actual connection to the other movies beyond Father Perez’s small role. It’s a surprising move for sure – but it’s also hard to say if it’s a good or bad one for the future of the franchise. Certainly the biggest positive featured in this development is the increased potential for more diverse storytelling. As successful as The Conjuring Universe movies have been, the limitations present in its choices thus far are pretty obvious, as the “spin-off only” idea does put filmmakers in a box of a certain design. Every new property has to not only follow certain rules previously established by different writers and directors, but there is also a certain expectation for a degree of narrative dovetailing that basically forces every story to end in a specific place that matches up with a previous title. To his credit, Gary Dauberman – who wrote the scripts for Annabelle, Annabelle: Creation, The Nun, and the upcoming Annabelle Comes Home (which he’s also directing) – has made this work for the most part, but the creative freedom offered by the Curse Of La Llorona approach is clear. While it’s cool that Father Perez makes his second big screen appearance, it’s really more of an Easter egg than anything, and everything else about the movie is able to really do whatever it wants – including establishing the “rules” for its eponymous evil spirit and how it concludes the arcs for its characters. Following the release of The Curse Of La Llorona, really any horror film that shares The Conjuring Universe’s perspectives on “good” and “evil” and approach to the supernatural could arguably be included in the larger continuity – and that could lead the franchise in a lot of new and interesting directions. Where this becomes a drawback and potential hazard for the brand, however, is the subject of identity and specific definition. Since 2013, the core of The Conjuring Universe has been Ed and Loraine Warren – the protagonists played by Patrick Wilson and Vera Farmiga based on the real life demonologist duo. Albeit very loosely, the films in the franchise have to this point been based on the legends surrounding their exploits, and have always tied back to them in one way or another. With The Curse Of La Llorona now being an exception, it raises an important question: what is The Conjuring Universe really about? If stories aren’t specifically expanding on the myths and terrors that the Warrens personally experience, does that mean that the franchise will eventually develop into being simply a collection of titles that share a genre and maybe the occasional single character? That’s far less interesting, and could eventually dilute the whole enterprise into nothingness. How things move forward from this point will definitely be interesting. As of right now there are seemingly only spin-offs and sequels in development – including the aforementioned Annabelle Comes Home, The Conjuring 3, The Nun 2, and The Crooked Man – but given the way The Curse Of La Llorona was promoted it’s possible any horror title currently being developed by Warner Bros. has the potential to be brought into the continuity. Ultimately it may be the audience’s response to the new release that determines everything, and you can be sure that we’ll be keeping a close eye on it. 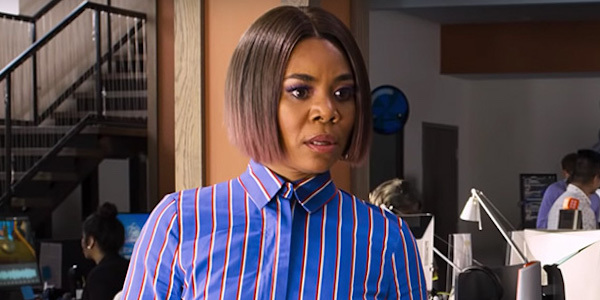 Many of us know Regina Hall as Brenda from the hilarious Scary Movie franchise, but if her newest character ran our workplaces, we’d be using that title in a brand new context. In Little, the comedy actress plays a rich tech entrepreneur who leaves her staff shaking in their seats with her crazy demands and deep-cutting insults – so much so that she must relive her middle school days to change her ways. The actress certainly had the chance to go over-the-top for the comedy and say some vile things to her staff in the film. This included tearing them down during a pitch meeting and even getting on the bad side of a young girl, who ends up magically transforming her into a 13-year-old, played by Black-ish’s Marsai Martin. 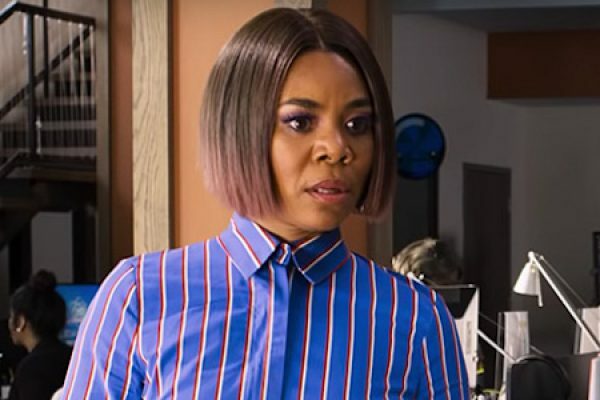 Regina Hall served as an executive producer on Little along with her younger counterpart, Marsai Martin, who has now made history as the youngest in Hollywood history to earn the prestigious behind-the-scenes role. Martin pitched the film inspired by the Tom Hanks-led Big to Will Packer Productions when she was just 10 years old and had a hand in picking Regina Hall and Issa Rae as her costars. Little opened last weekend with a handful of other newcomers such as Hellboy, After and Missing Link, and bested all of them at the box office with a $15 million weekend. Little was just behind Shazam!, which took home the No. 1 spot at $25 million during its second weekend. It’s a modest entrance for the studio that made the Ride Along films, Think Like a Man and Girls Trip, but altogether it wasn’t a solid run for movie theaters as a whole. As more films hit theaters this weekend such as Breakthrough, Penguins and The Curse of La Llorona, we’ll have to see how Little (or Big) of an impression the ensemble comedy makes on audiences. Either way, it looks like Regina Hall and the cast had tons of fun making it, especially when it came to exploring her bad boss side. Warning: SPOILERS for Netflix’s Triple Frontier are in play. If you haven’t seen the film yet and would like to remain unspoiled, please bookmark this story and return once you’ve caught up. Towards the end of Triple Frontier’s second act, a pretty big death occurs. As the team of veteran warfighters are making their way through the treacherous mountains that stand between them and their rich escape, a surprise shooter gets the jump on the team. That shooter is the son of a farmer murdered by Ben Affleck’s Tom “Redfly” Davis, and as fast as you can say “karma,” the young man sneaks up behind Redfly and shoots him in the head. If you thought you were surprised when co-writer/director J.C. Chandor dropped that twist into the film, just wait until you hear about how the audience at the film’s big premiere, courtesy of two of the film’s producers. As if surprising audiences watching Triple Frontier at home wasn’t enough, Ben Affleck’s big death scene turned a Hollywood premiere into a setting as interesting as any theater showing a moment of that caliber. Listening to Charles Roven and Andy Horowitz discussing this moment only made the story that much sweeter, as you could tell that they had a lot of fun keeping that big twist secret. 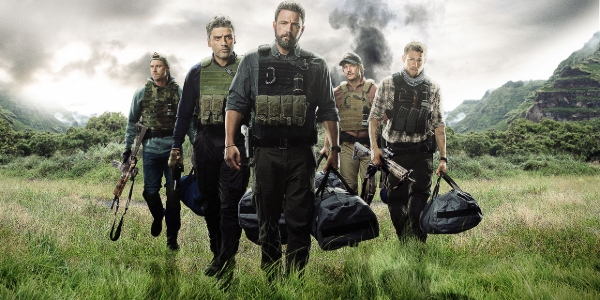 Hearing that the Triple Frontier twist played so well in front of an audience of professional peers is pretty entertaining, but it’s also pretty much a vindication of the request that Ben Affleck made for Redfly’s fate during the production of the film. During the extensive reworking that J.C. Chandor had done on the original Mark Boal script for the film, Affleck had the idea to sacrifice Redfly instead of an unnamed secondary character. This idea met with the approval of the powers that be, and flash -orward to the finished product, you’re met a tense as hell gun battle in the mountains. It’s also capped off by one of the most surprising movie deaths since Janet Leigh in Psycho. 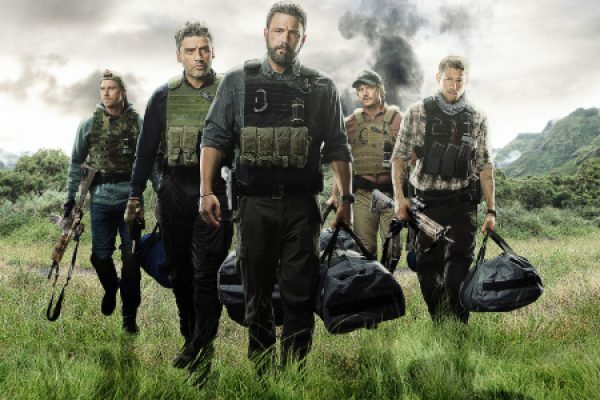 The shifting rhythm of Triple Frontier’s action-fueled and drama-driven halves of the plot at hand needed a moment to jump start its pulse, so as to shake up the audience. Redfly’s death did just that, and if focus group data isn’t enough to support that, then try the fact that even those who work in the Hollywood industry had their minds blown during that fateful premiere of this very film. A fact that makes any possible sequel talk all the more complicated, because how do you beat a moment like that? Thus far the Thor film series is the only one where each movie was directed by someone different, with Taika Waititi following in the footsteps of Kenneth Branagh and Alan Taylor for Ragnarok. There’s no question that tonally speaking, Ragnarok was significantly different from its predecessors, but that shift paid off, as it’s the most critically well-received of the Thor movies and made $854 million worldwide. Mission accomplished! Not only did Thor: Ragnarok take full advantage of Chris Hemsworth’s comedic skills, but it also put shook up Thor’s world by killing his father, destroying his hammer, gouging out his eye and annihilating Asgard. Granted, the lost eye isn’t really an issue anymore since he was given a bionic replacement by Rocket Raccoon in Avengers: Infinity War, but otherwise Thor is definitely out of that box Hemsworth was worried about and has arguably hit his stride. MCU fans can look forward to Chris Hemsworth’s Thor returning next week for Avengers: Endgame, but beyond that, the character’s future is shrouded in secrecy. 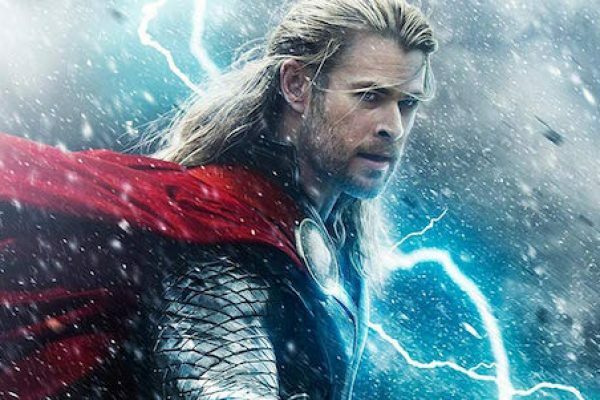 Hemsworth seems open to playing the Asgardian hero again and Tessa Thompson said that a Taika Waititi-directed Thor 4 has been pitched, but for now, Marvel’s upcoming slate of films is, with the exception of Black Widow, focused around brand-new and more recently established characters. 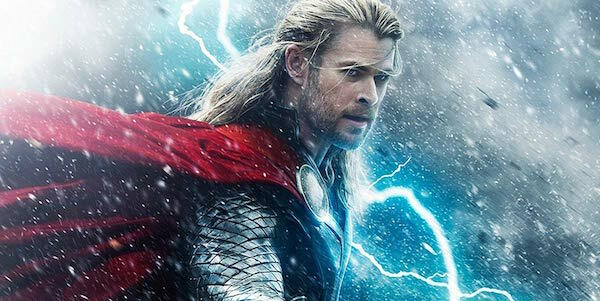 Should there be any major update concerning Thor’s future in the MCU, we here at CinemaBlend will let you know about it. For now, the next chapter of his journey unfolds with the release of Avengers: Endgame on April 26, and you can browse through our Marvel movies guide to learn what else this superhero franchise has coming down the pipeline. The latest Marvel Cinematic Universe film, March’s Captain Marvel, has been in theaters for over a month now and it has enjoyed massive, record-breaking success during its run. That run is slowly coming to an end as more new blockbusters are released, and Captain Marvel’s theater count continues to drop to make room at the multiplex. Yet despite being on fewer movie screens, Captain Marvel is still doing incredibly well. Captain Marvel lost a whopping 598 screens last weekend as new releases like Little, Missing Link and fellow comic book movie Hellboy opened. Despite that huge drop in screen count, Brie Larson’s heroine still managed to hold on at the box office remarkably well week after week. According to Forbes, Captain Marvel pulled in $884,741 on Monday, which is up 2.2% from last Monday. It didn’t do quite as well on Tuesday, dropping 6.1% from the previous week to $1.297 million, then rebounded on Wednesday with an 8% jump over last Wednesday to $971,000. That type of hold and box office performance is very impressive given that there were almost 600 fewer screens on which audiences could see Captain Marvel. It’s not like there’s no competition at the box office either. Both Shazam! and Hellboy are now out and are competing for largely the same audience’s superhero dollars. The Anna Boden and Ryan Fleck-directed film will now pass $390 million at the domestic box office. 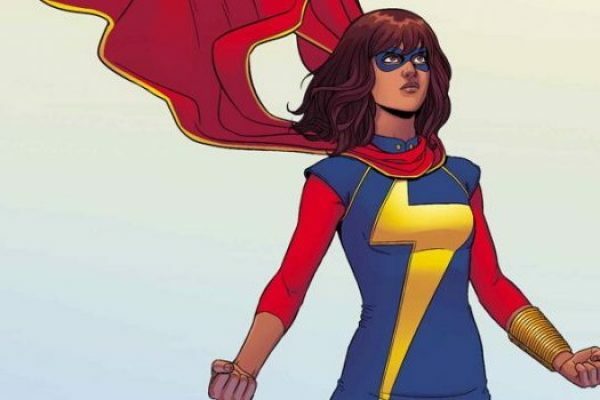 When it does, Captain Marvel will pass Guardians of the Galaxy Vol. 2’s domestic performance to become #7 on the MCU’s domestic box office charts. 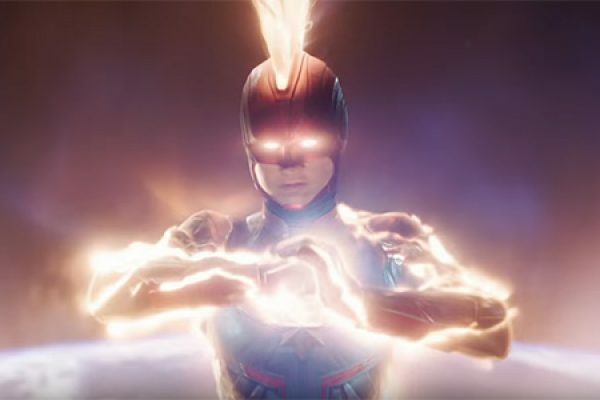 If Captain Marvel continues to have small drops in the coming weeks as it gives more ground to the start of the summer blockbusters, and receives a bump around Avengers: Endgame, it could pass the $400 million mark domestically and beyond. When it’s all said and done, it could surpass Captain America: Civil War’s $408 million and Iron Man 3’s $409 million to land in the MCU’s top 5. Captain Marvel has made over $1 billion worldwide, so that it is doing well is no surprise, but the solid box office hold despite playing on fewer screens reflects something of an Avengers: Endgame bump. Black Panther enjoyed something similar with Avengers: Infinity War last year, and with about a week left until the first Endgame screenings begin, all eyes are on the concluding chapter in the MCU’s Infinity Saga. So some MCU fans may be going back to see Captain Marvel again as part of their pre-Endgame MCU watch list. If you want to rewatch all 21 films, that means heading back to the theater to check out Captain Marvel before next weekend. Given that Brie Larson’s character has been more prominent in the trailers than I think many suspected (she’s clearly not being saved as a third-act savior), it’s also possible that some who thought they could skip Captain Marvel are finally getting around to seeing it. Captain Marvel is also likely benefitting from kids being out of school for the Easter holiday. 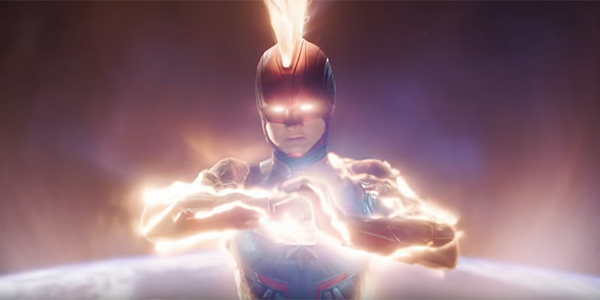 You can check out Captain Marvel again in theaters now before Avengers: Endgame arrives to dominate on April 26. Warning: SPOILERS for Shazam! are ahead! As one expects from a superhero movie, Shazam! was packed with a lot of action-packed moments, all of which came with their own unique challenges to pull off. As a result, just because a scene or sequence was envisioned in a particular way on script or while shooting doesn’t mean it came together looking exactly like that when finally assembled. 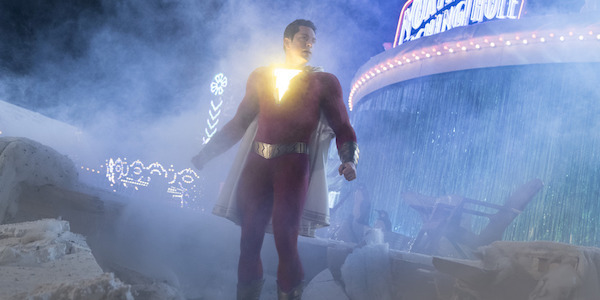 There’s definitely a lot going on in that final Shazam! battle. It would be one thing if it had just been a straightforward fight between Shazam and Sivana, but not only did Mary, Freddy, Eugene, Darla and Pedro joining the fray widen the scope, but there was also the fact that the Seven Deadly Sins were able to separate from Sivana and go their own ways. So there were numerous things to keep track of within that carnival battleground. Even with all those moving pieces to track, ultimately the battle culminated with the showdown between Shazam and Sivana, adversaries that have been fighting on the printed page and in other media for eight decades. Remembering that main antagonist loses his powers if all of the Sins are out of his body, the superpowered Billy Batson managed to goad Envy out of Sivana, leaving the chrome-domed baddy helpless. Upon taking the Eye of Sin from Sivana, Billy imprisoned all of the Sins back within it, and the Shazam family redeposited the artifact back at the Rock of Eternity. While this sequence had to go into the Shazam! final cut no matter what, there were 20-24 minutes of scenes that were taken out. However, Michel Aller expects you’ll be able to watch most of these when Shazam! comes out on Blu-ray and DVD later this year, with some of these excised scenes possibly including one where Mary confronts Billy as he’s sneaking out of the Vasquez house and the original version of Sivana’s murder spree. For now, catch Shazam! in theaters while you can, as the next DCEU movie isn’t coming out until next February (although Joker is holding down the overall DC fort in October). 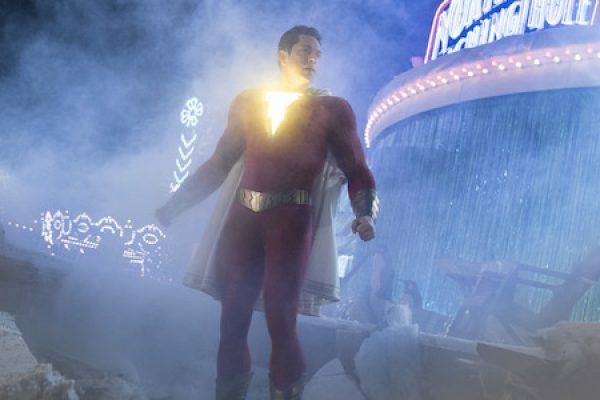 Be sure to read CinemaBlend’s review of Shazam! and stay tuned for updates on how Shazam! 2 is coming along. Those of you interested in learning what other DC movies are in development can find that information in our handy guide, or you can look through our 2019 release schedule to plan when you’ll be going to the movie theater later this year. There was an idea that Marvel Studios could maintain its Marvel Cinematic Universe with a series of MCU shorts that could tell stories that the movies never could. At least, not at the times they were released. They were called Marvel One Shots: shorts exclusively created for the home video release of each Marvel film from 2011 until 2014, and dedicated to taking the still fledgling franchise everywhere it could go, without having to spend a feature length budget each trip. Before Team Darryl from Thor: Ragnarok, it had been a while since we’d seen anything close to being known as a One Shot. And even then, the comedic short explaining Thor’s absence from Captain America: Civil War wasn’t technically branded as a One Shot. But it does embody the spirit of the One Shot, and its success helps remind us of just why they should exist. As we approach Avengers: Endgame, the long-awaited finale of the Infinity Saga, here are six reasons why Marvel Studios should go back to the practice of doling out One Shots with each home video release. Avengers: Endgame is about to wrap up eleven years of storytelling that make up the first arc of the Marvel Cinematic Universe. While there’s definitely a plan in play for Phase Four to introduce new franchises like The Eternals and Shang Chi in the near future, as well as handing off the leadership reins to Captain Marvel, that’s only just the beginning. If Phase Four is going to be more diverse — and more ambitious — than the first three phases, it’s going to need a lot of new and exciting content to do so. Which means, the One Shots could very easily help do a little of the heavy lifting by supplementing characters and plot points that start in mid or end credit sequences, and bridge into new films. 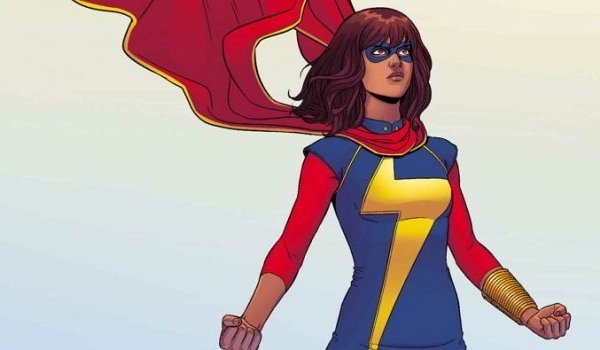 Imagine if Kamala Khan’s Ms. Marvel finally had an opportunity to show up, without the need of a TV series or a full film. That short could lay the groundwork for her character, and keep her in play until she’s used in either capacity. Meanwhile, she’d finally be onscreen, ready to return at a moment’s notice in a natural context. As we saw with the One Shot All Hail The King, the continuation of the story involving Trevor Slattery and his guise as The Mandarin in Iron Man 3 was eventually used to twist the character in another way. Were Marvel to pursue the eventual fallout of this short, with Slattery being brought to meet the actual Mandarin, there would be a potential to tell an entire story in One Shots. What if the “true” Mandarin’s story was a serialized happening, scattered throughout home video releases of Marvel Studios titles? Instead of just being a juicy tease for a massive retcon of Iron Man 3, it could be an entire story that adapts the character closer to the comics. Or, say the idea of telling the stories of jailed villains caught on? You don’t need a full Iron Man movie to tell that story, or at least not to start off. You could bring back Justin Hammer, or the Vulture, or even Colonel Zemo for one short and round off their stories in captivity. Of course, were they popular enough, there would always be the chance to expand further. Peggy Carter of the Captain America series is the best example of how testing the popularity of a character before launching them into greater things can work perfectly in the One Shot laboratory. While she was pretty beloved in Captain America: The First Avenger, as well as her guest appearances on Marvel’s Agents of S.H.I.E.L.D., her One Shot short Agent Carter provided the best piggyback for her character to jump into her own TV series. Again, the foundation was laid out in a short that, at the very least, would have stoked fan support for the character. But at the most, you find the people that really get the fans riled up and ready to come back to the fold, which indicates that it’s a good time to jump back into TV and Movies with said character. The Marvel Comics universe is so vast that no one is a guaranteed hit, so using One Shots as the test kitchen to cook up further adventures of side characters that are primed for a spinoff makes a lot of sense. If Inhumans had been a One Shot rather than an expensive theatrical event/season of TV, Marvel’s approach to the material, as well as the viability of the property itself, could have been tested in a less costly manner. While Marvel Studios seems pretty set with its three-films-a-year layout, they tend to be front-loaded into the earlier part of the year. In 2019, March, April, and July all see the release of an entry into the MCU, leaving the rest of the year untouched except for home video releases. Should those three films have additional One Shot content on each of those shelf loving physical copies, fans would have at least three more times to get excited about a new gem of information or a new character to fall in love with. It would basically be giving fans extra content in the off season. Why should the comic movie fan be content with merely switching to another comic company’s films, when Marvel can keep its name in everyone’s minds with fresh supplies of events and characters? And what about the die hards who don’t even touch the competition? Those true believers deserve something extra for this devotion, in my opinion. Besides, it’s not like there’s a shortage of ideas in the One Shot canon. It has been mentioned on multiple occasions that there were One Shot scripts that simply never got made, post 2014’s All Hail The King. 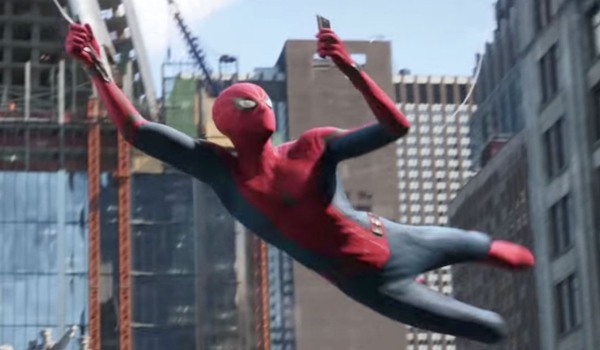 Producer Kevin Feige, and even Marvel creative player Drew Goddard both talked about ideas that were laid out, but never executed for different reasons. 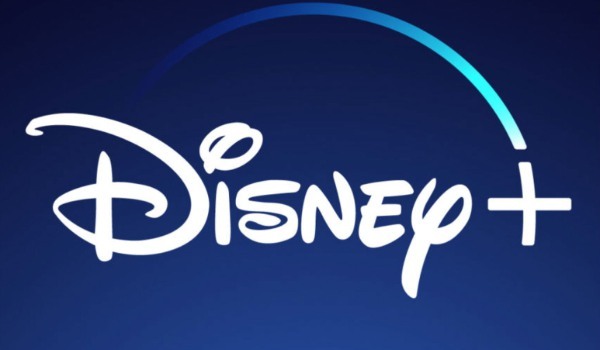 However, with Disney having more clout and position in the entertainment world to call its own shots, some reasons such as budget and effort could theoretically be overcome quite easily. While this isn’t a reason to advocate spending an obscene amount of money on a young Loki or Nick Fury short, it’s also a call to move past such limitations. Should Marvel spend more money on the studio’s One Shot projects, that would mean that home video might not be the best or only home that those shorts should inhabit. If only there were a streaming platform that Disney owned, that could use such content to entice subscribers. Perhaps the greatest reason that Disney and Marvel should resurrect the One Shot initiative is, quite simply, that Disney+ needs content. While the What If animated series, as well as plenty other spin-offs of popular characters are coming to the platform, there’s so much more potential here. This new streaming home could take all of the lessons learned above, and turn them into gold. 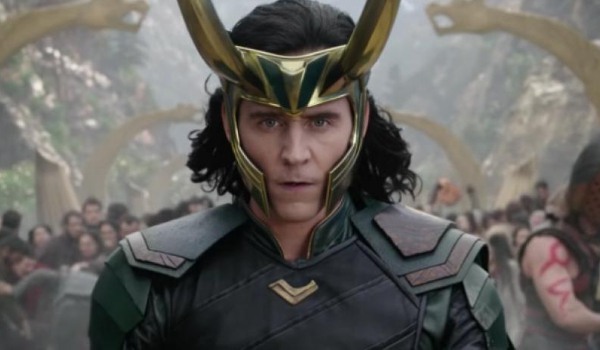 With Loki already getting a spin-off series, the problem of cost involving any Asgardian shorts is solved. Just use the assets already provided with that series. 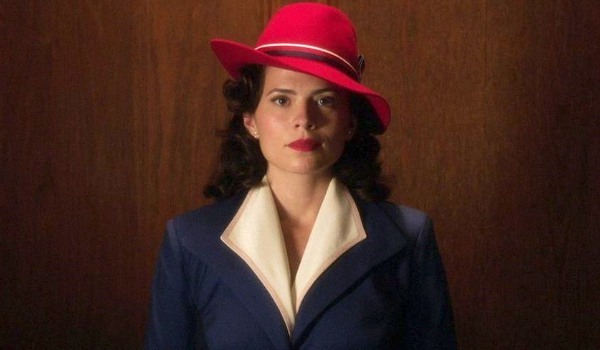 Think Agent Carter is worth another spin? Make a short that shows us what Season 3 would have looked like, and see where the public lands! Having merely the test shorts of such concepts on Disney+ would be enough to start winning those hungry for more Marvel, all the time. And if Chris Hemsworth wants a TV show between Thor and his human roommate Darryl, you can practically chalk that success up to the unofficial success of the One Shots that was Team Darryl! There is a tremendous opportunity to expand the depth and scope of the Marvel Cinematic Universe through the redeployment of the One Shots. All that has to happen is for the studio to see the possibilities, and make them happen in reality. For now, we may have to content ourselves with other longform streaming projects. Which means it’s time for you True Believers, you Marvelous Mavens, to take a poll below and let your voices be heard. Do you want more One Shots, or do you think their day has come and gone? Vote and decide, and don’t forget to explain your choice in the comments below. In the meantime, Avengers: Endgame will be upon us in early showings on April 25th, so there’s still time to cram a very specific MCU catch up session into your schedule. Do You Think Marvel Should Bring Back The One Shots? 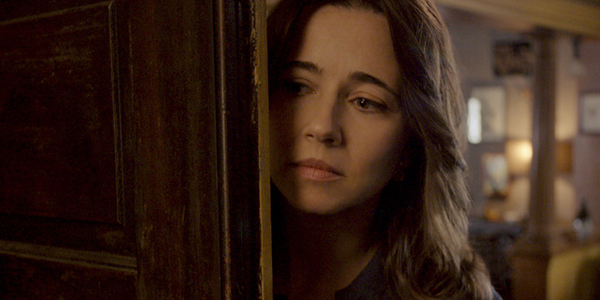 Linda Cardellini brings up a great point about shooting at night. 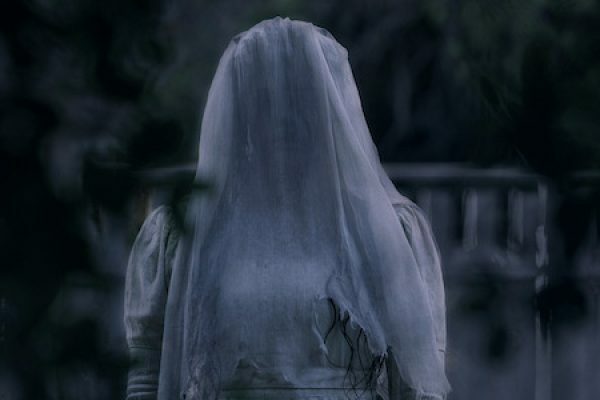 Long days of filming often require actors and crew to arrive when it’s still dark out and leave long after the sun has set, but horror movies like The Curse of La Llorona need to actually film certain scenes in the dark. The need to shoot those outdoor night scenes shifts around the working hours and messes with your sleep schedule, making them an exhausting part of horror films. There is also the fact that horror films often require intense performances out of actors who are playing characters that are in fear for their lives. That’s an emotionally draining experience. Not to mention that screaming and running from supernatural threats takes a lot out of them. And by the time they’re done, actors can end up completely exhausted. 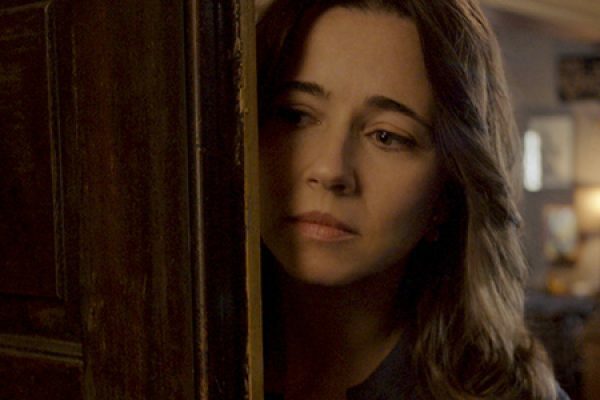 The Curse of La Llorona was Linda Cardellini’s first film like this too; the Scooby-Doo movies aren’t quite the same kind of horror experience. So even as a veteran actress with tons of film and TV credits to her name, she was still unprepared for the level of exhaustion that was in store for her making this Conjuring Universe movie. The Curse of La Llorona is Michael Chaves’ first feature film. And although he might have expected a more measured pace, what he wound up with was a breakneck one. It sounds like there were no easy days with everyday involving some challenge that resulted in an exhausting filming experience. Fortunately, Michael Chaves was prepared for this kind of sprint because of his previous work commercial work. You can check out Sean O’Connell discussing the filming experience with the cast and director of The Curse of La Llorona below. The Curse of La Llorona, which looks terrifying, tells the story of an apparition, the Weeping Woman, stalking the children of 1973 Los Angeles. Linda Cardellini’s social worker and her kids are drawn into the supernatural realm and must try and escape the wrath of this evil spirit. This is the sixth film in the Conjuring Universe and is the first feature film for Michael Chaves who will follow La Llorona up with The Conjuring 3. The Curse of La Llorona opens in theaters this Friday, April 19. Check out our 2019 Release Schedule to keep track of all the movies you need to see as we approach the jam-packed summer movie season. Among the many summer movies to look forward to in the coming months is John Wick: Chapter 3 – Parabellum, which is finally arriving a little over two years after its predecessor. But what if you haven’t seen the first two John Wick movies. Well, the first course of option is to actually watch them, but if you find yourself strapped for time, not to worry. Keanu Reeves has provided the following minute-long recap of what has already happened to his assassin character. Talk about cutting to the chase! Keanu Reeves does a great job summarizing the events of 2014’s John Wick and 2017’s John Wick: Chapter 2, from how this all kicked off when the idiotic son of a mobster stole his car and killed his dog, to how John is now on the run after killing someone on Continental grounds, which is a big no-no. In just a minute, folks who’ve never seen these movies are caught up to speed, and those who only saw them once will have their memories refreshed. Of course, there’s obviously a lot that this video didn’t cover, like John’s relationship to Willem Dafoe’s Marcus in the first movie to his short-lived conflict with Santino D’Antonio’s second-in-command, Ruby Rose’s Ares, in Chapter 2. Nevertheless, if all you’re looking for is a bare-bones summarization of the John Wick franchise thus far, then watching this video is your best bet. You’ll definitely be able to follow along with John Wick: Chapter 3 – Parabellum’s overall story, even if some of the subtler character dynamics are foreign. Which brings us to John Wick: Chapter 3 – Parabellum, which picks up immediately after the events of Chapter 2 with John on the run with no access to his underworld resources and a $14 million bounty on his head going live in one hour. John is no stranger to fighting off assassins, but this is unquestionably his biggest fight yet, as it’s the High Table, the council of crime lords that are the ultimate authority in the underworld, that wants his head. John’s main goal will be to escape New York City at the start of John Wick: Chapter 3 – Parabellum, and the previews have shown that he manages to this since he’s also seen walking through a desert. Beyond that, we don’t know what specifically is in store for John, though you can count on him leaving a trail of bodies wherever he goes. 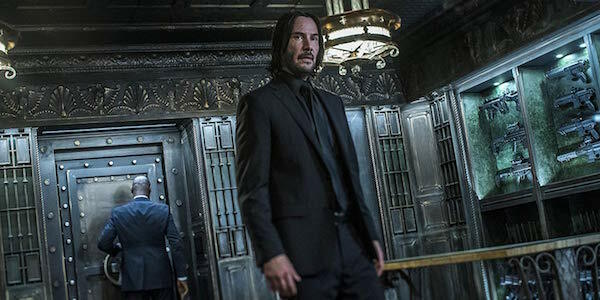 Along with Keanu Reeves obviously being back for a third round of bullet-riddled action, John Wick: Chapter 3 – Parabellum also sees the return of Ian McShane’s Winston, Lance Reddick’s Charon, John Leguizamo’s Aurelio and Laurence Fishburne’s Bowery King. As for new faces, they include Halle Berry’s Sofia, Angelica Huston’s The Director, Asia Kate Dillon’s The Adjudicator, Mark Dacascos’ Zero, Robin Lord Taylor’s The Administrator and Jason Mantzoukas’ Tick Tock Man. 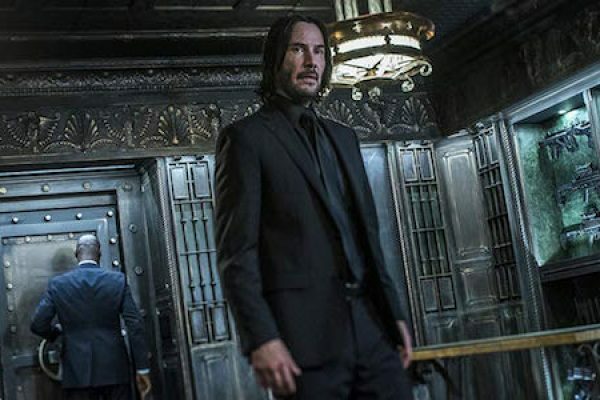 John Wick: Chapter 3 – Parabellum hits theaters on May 17, so keep checking back with CinemaBlend for more coverage on the threequel and our review. In the meantime, you can scan through our 2019 release schedule to plan your moviegoing trips later this year accordingly.